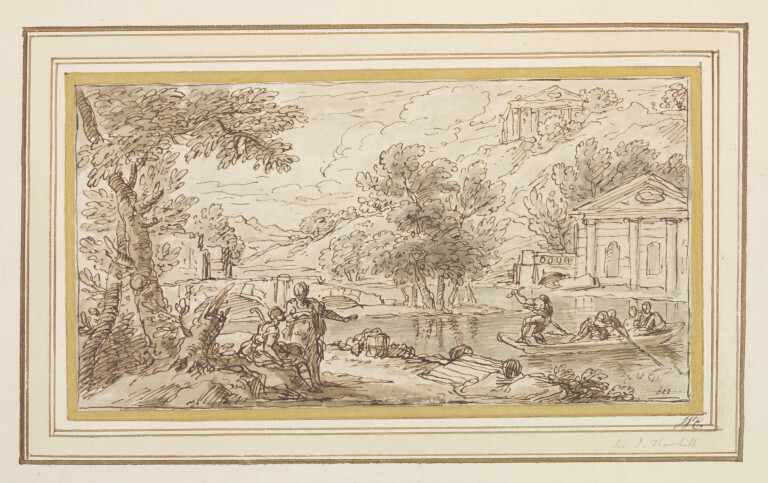 Classical landscape; River scene, with figures and a dilapidated bridge; two boatmen are about to land passengers; ruined temples appear on the bank beyond the river; Drawn with pen and sepia, washed with neutral tint. Collections-George Knapton and William Esdaile. 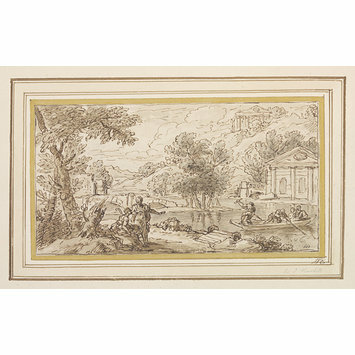 Thornhill, James (Sir); Classical landscape; River scene, with figures and a dilapidated bridge; ruined temples appear on the bank beyond the river; Drawn with pen and sepia, washed with neutral tint; English School; Late 17th - early 18th century.